After retirement six years ago, the massive crowds went away. Dobson says the answers vanished with the crowds. And yet the people Dobson comes in contact with – those who call him dad, husband and friend, or those who have read one of his 12 books and watched his short films, don’t agree with that assessment. To them, the last six years of Dobson’s life have led to a remarkable ability to put life into context. To them, Dobson is a man filled with lessons. In the 1980s, Dobson rose to prominence as an executive at the Moral Majority, Jerry Falwell's evangelical political organization, which had influence with the Ronald Reagan White House. Dobson’s rise continued when he accepted the pastorate at Calvary Church in 1987. He cut a national profile, with Moody Bible Institute naming him “Pastor of the Year” in 1993. After being diagnosed with ALS, Dobson suddenly felt unsure of himself. At times, he said, he didn't want to get out of bed. After years of intense Bible study, Dobson said this is not how he thought he would react to news of his own mortality. Eventually, Dobson regained perspective. But feelings of listlessness led him to take his preaching to a more personal level. He now meets with congregants one-on-one. Sitting with them in their homes or offices, Dobson provides whatever help he can. “Most of the people I meet with have ALS and basically I listen," he said. During his one-on-one meetings, Dobson says he remembers Adam and Eve being charged by God to work the Garden of Eden. For years Dobson’s garden was Calvary Church – the baptisms, weddings, the Sunday preaching. “Whether it is preaching to 5000 or meeting one on one, I am trying to take care of the garden,” he said. Dobson’s son Daniel read the book while deployed in Iraq. After returning home, Daniel made it his mission to turn the book’s stories into videos. “I thought that this guy, he has been where I am right now and he has somehow mastered it,” Carr said. So far, Flannel has released five Dobson films, available through the company's website. There are plans for two more. Though the films range in topic, from loss and forgiveness to healing and growth, all are centered on lessons Dobson learned through his battle with ALS. The videos toe the line between a dark look at a dying man's life and an uplifting glimpse at someone who exudes clarity. 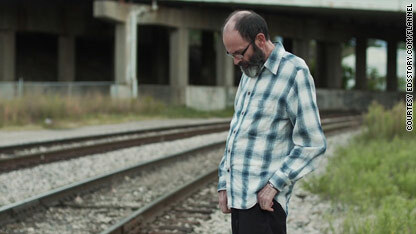 "My Garden," the most recent title in the series, centers on Ed’s struggle to deal with ending his preaching career. Dobson talks about the films as if they are his swan song, his last words of encouragement to a group of supporters he has inspired for decades. “My desire is that people who have had the air knocked out of them, whether divorce or losing a loved one or illness, that they will get a sense of hope by watching the films,” he said. 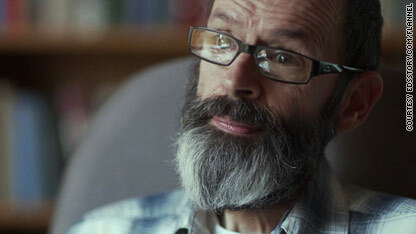 The series’ first short film opens with Dobson explaining what it was like to be told he had ALS. After lying in bed, Dobson gets in the shower, brushes his teeth and starts the day. Even he would admit, however, it is not that easy. Dobson has lost much of the function in his hands and is seen struggling to brush his teeth, his frail body using two hands on the small brush. Though he is able to do a lot, including drive, Dobson wouldn’t be able to make it on his own, a fact he is keenly aware of when about when describing his wife, Lorna. Standing in the kitchen in one video, Lorna helps puts Ed’s belt and gloves on. The two don’t speak on camera, but their love is obvious. Dobson says he is also more available to her. Lorna said she continues to learn from her husband. Throughout their life together, she said she learned by being in church with him, by raising three kids together and by loving one another. The last 11 years, however, their love has changed. Dobson's illness has taught her to focus on the important things, she said, primarily their kids and five grandkids. After tending the garden for decades, Dobson is now being tended himself, largely by Lorna. “ALS forced me into a situation where I grew in understanding of what it means to obey Jesus,” Dobson said in the latest film. Nothing about regretting destroying thousands of lives, supporting Reagan's anti-gay mission, refusing to help the huge amount of gays who were dying of AIDS who wanted research done? I'd day the lesson here to this gentleman, as it was to Reagan himself and Nancy, when suffering hits you in the face, it's to help you feel the way others have in the past, that you refused to help, and even helped demonize, so more people would despise them. Brings it right to your front door. This is why one of the greatest "prayers" or wishes some give goes something like this: "I hope you have enough pain in your life, to make you a better person". I hope the gentleman has learned this! Great �V I should certainly pronounce, impressed with your website. I had no trouble navigating through all tabs and related information ended up being truly simple to do to access. I recently found what I hoped for before you know it in the least. Quite unusual. Is likely to appreciate it for those who add forums or something, website theme . a tones way for your client to communicate. Excellent task..
Hi my loved one! I want to say that this article is amazing, great written and come with approximately all important infos. I��d like to see extra posts like this . The particular farther far from my favorite stomach and better towards my own love handles i always look, the more likely down I'm certainly. Good day! I simply would like to give an enormous thumbs up for the nice information you have got right here on this post. I might be coming again to your weblog for extra soon. Hola! I've been reading your site for some time now and finally got the courage to go ahead and give you a shout out from Austin Texas! Just wanted to say keep up the fantastic work!